The spread of social media solutions has resulted in a paradigm shift in the world of advertising, marketing, branding and customer satisfaction. Social media has enabled customers to directly connect with brands by using mere FB or Twitter accounts and they also have got the capacity to influence the brand images of well established products/companies. The recent story of a girl’s statement on Dove Moisturizer, made Dove to apologize and above all to change their product packaging. Unfortunately, businesses have been slow to understand and react to social media. Mistakes are a part of the learning process but some mistakes defy all logic. 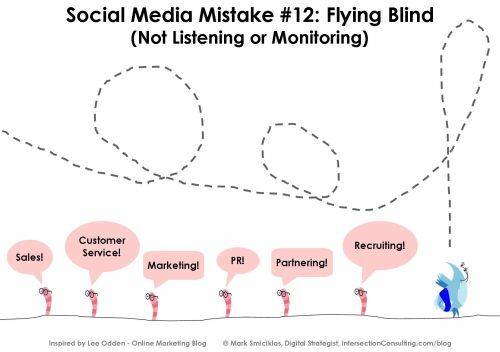 Just make sure your business does not commit these mistakes when dealing with social media. Businesses often pretend that they can minimize the impact of social media by simply ignoring it. Dell ignored an image of an exploding Dell laptop and delayed responding to a post on a tech blog. The image went viral on social networking websites and Dell ended up recalling four million laptops. Social media is a wonderful force multiplier. A single tweet about an exciting offer or a blog post offering an apology can reach millions of individuals in a span of seconds. This is possible only if you recognize the presence of social media and its role today. Hiding from it is only going to make matters worse. Okay that is not the complete truth. Social media is about promoting one’s business. However, it does not pay to be crude and unsubtle about it. Filling your FB page with numerous posts of how you have fantastic offers and discounts for your customers is only going to put them off. Polls on after sales service quality or addition of new feature in a product will facilitate meaningful social interaction. Customers will automatically promote businesses and products if this is achieved. Nothing creates a bad impression than infrequent and irregular social media updates. A dozen tweets in two days followed by silence for six months is a sure shot recipe for disaster. 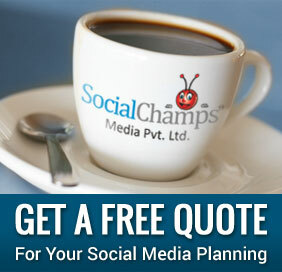 Your customers will not bother to ask you why you are engaging them on social media websites in a holistic manner. They will simply conclude you are not serious about using such a fantastic solution to make stakeholder interaction more meaningful. Would you buy stuff from a person who contacts you and then falls silent for the next six months? Neither would your customers. Indian IT giant Infosys set up a social media platform in 2010 after unhappy employees criticized the company on public social networking sites. It also introduced a social media policy after employees discussed confidential project information on Facebook. Your employees form the public face of your business and they should be aware of the dos and don’ts as far as social media is concerned. Vodafone issued a legal notice to a customer who had complained about their service on social forums. Very few individuals cared about the facts. People immediately created a David vs Goliath situation and the company was panned for trying to stifle customer feedback. The lesson? Understand that social media too has its limits of influence. The legal notice brought more attention to Vodafone’s poor quality service than the original blog post. Try to use social media to make your business popular. A close to 1 billion network of Facebook Or other channels like blogs have given a strong medium in hands of customers to put their point in front of world. Businesses should take these things very seriously as it can have a long term impact on your brand. Further, learn to back out of situations where your business will be adversely affected no matter what you do.